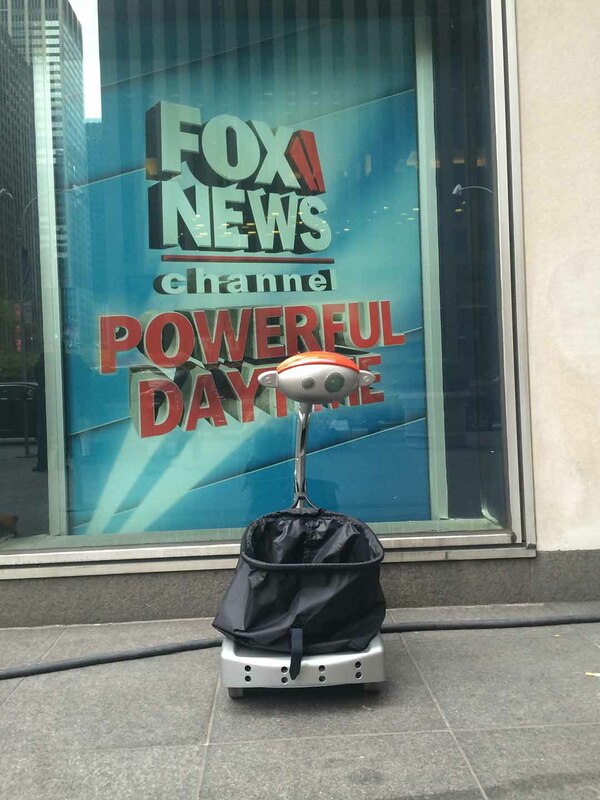 Budgee™ wowed New Yorkers Tuesday, October 7th, as he appeared outside the Fox Business Studio Live with RoboBusiness General Manager Richard Erb and Gerri Willis on the Willis Report. 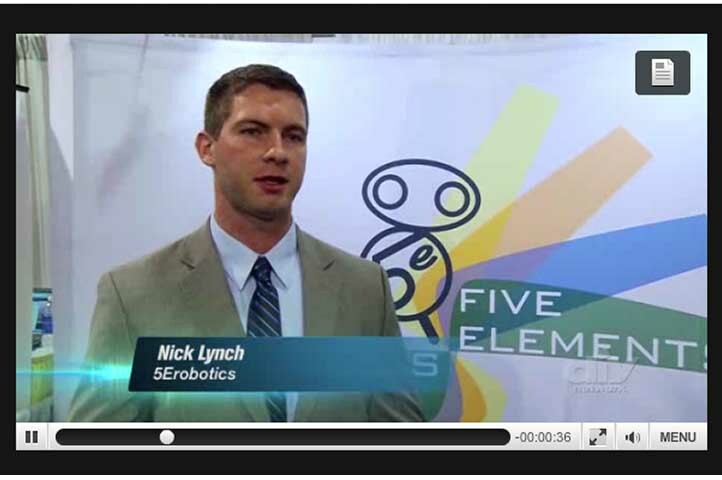 The interview was in preparation for RoboBusiness which is happening in Boston October 15-17th. 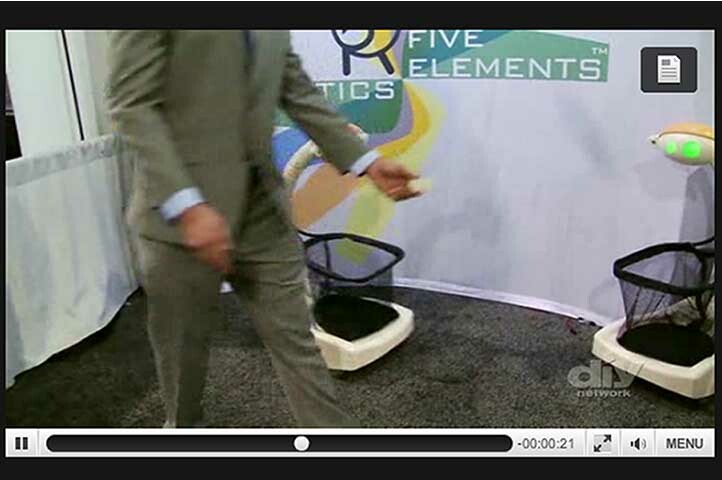 In May, Budgee™traveled to London to appear on the Gadget Man TV show. 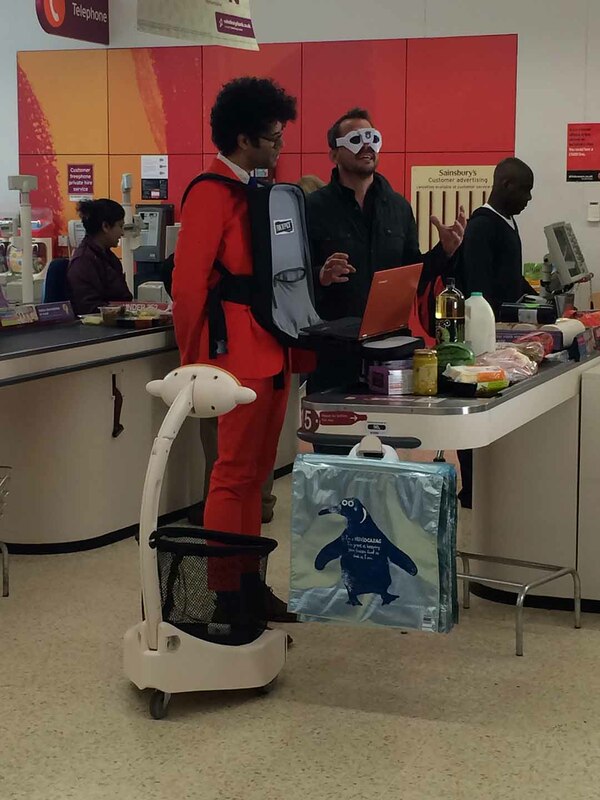 Budgee™ helped Gadget Man, Richard Ayoade do his food shopping as only he can with a variety of gadgets and humor at a Sainsbury’s Food Store in London. 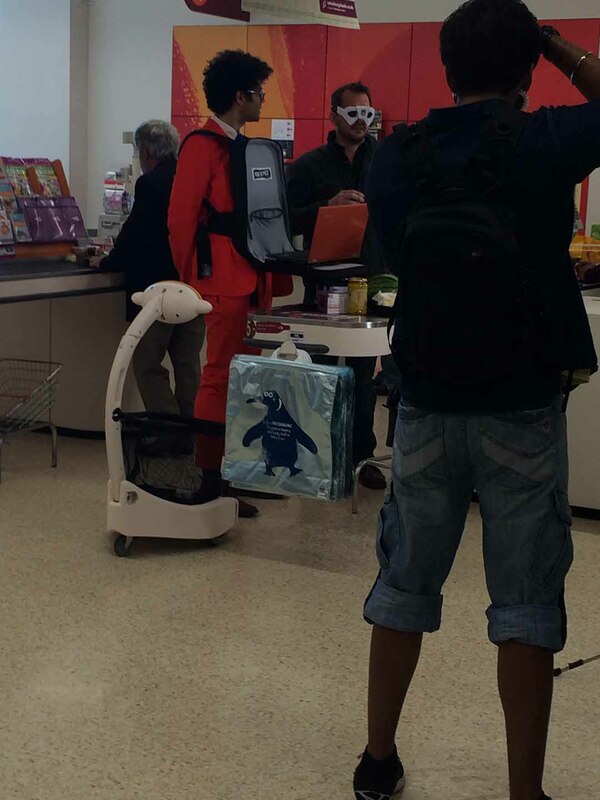 Budgee™ drew a lot of attention as he sped through the store following Richard and the crew on their shopping expedition. 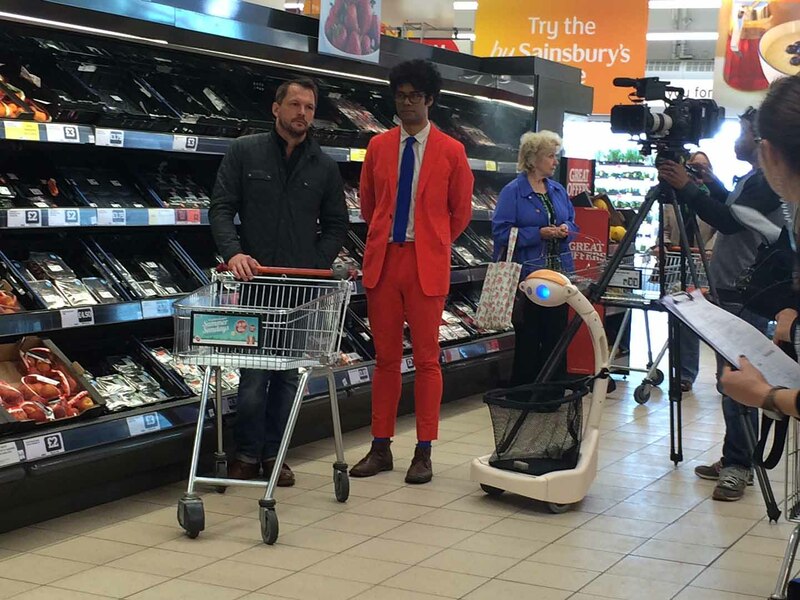 The show aired in September 28th on channel 4. 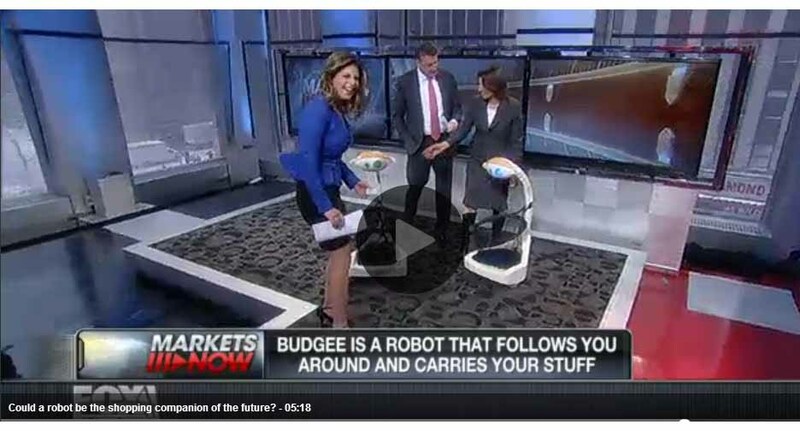 January 21st, 2014, Budgee™ was featured on Fox Business network on the Markets Now show. 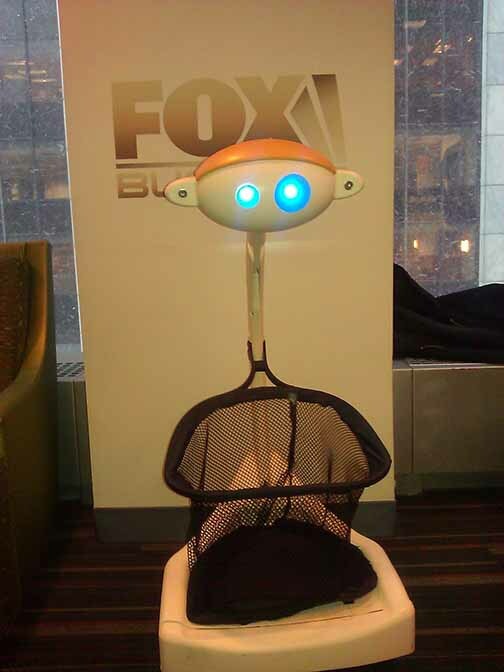 The snow was falling, but in spite of the blizzard Budgee™ was like a shining star on camera. 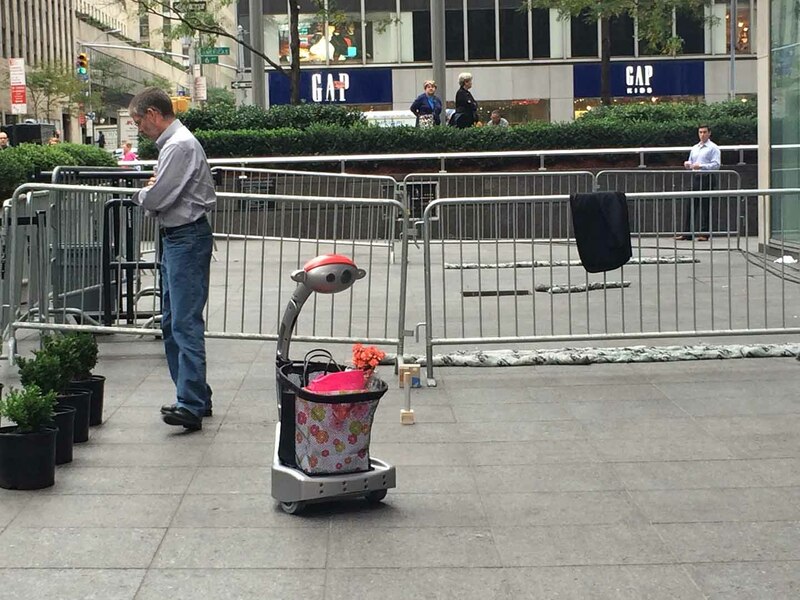 He was a hit with the crew and the audience. 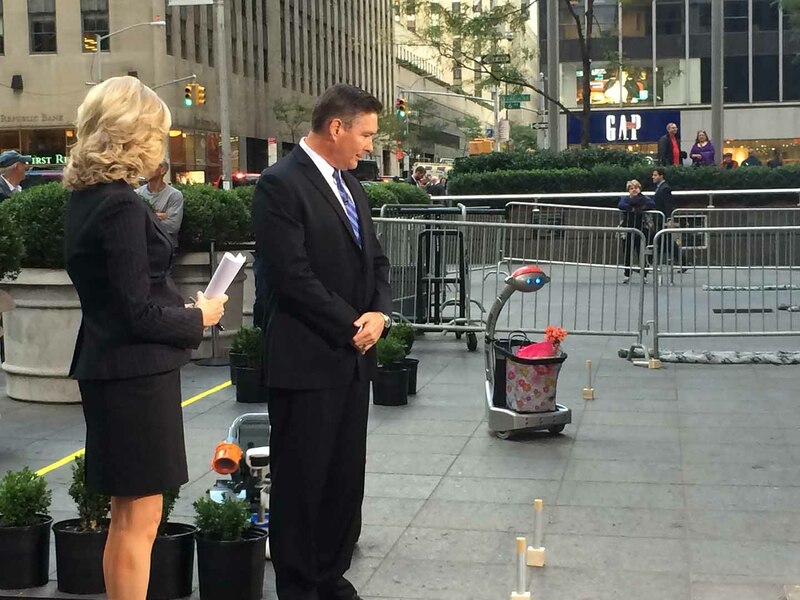 If you missed the show, the link to see it is below. 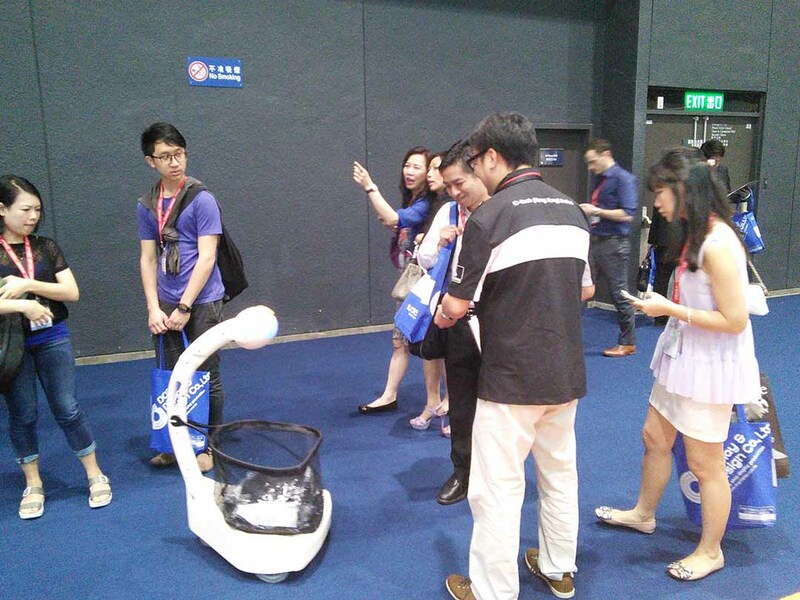 Budgee™ travelled to Hong Kong to appear at the Asia Retail Expo June 10-12th, 2014. 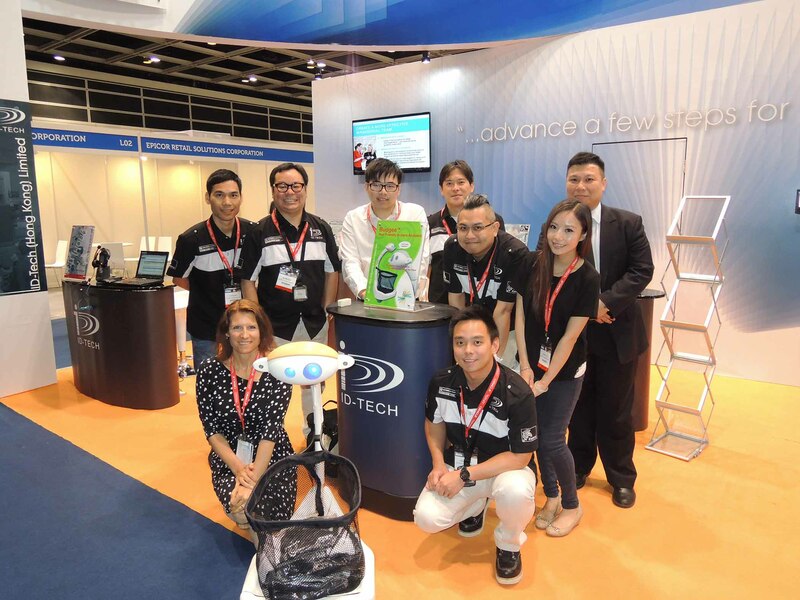 Our Hong Kong Distributor, ID-TECH requested Budgee™ at their booth. The event was very successful! 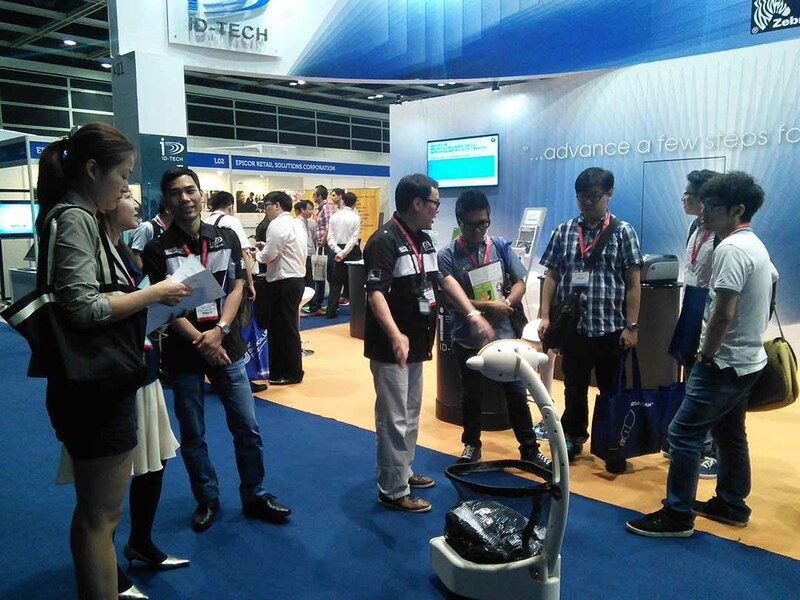 Representatives from several shopping malls in Hong Kong and China were interested in acquiring Budgees™ for their stores to enhance their consumers’ shopping experience. 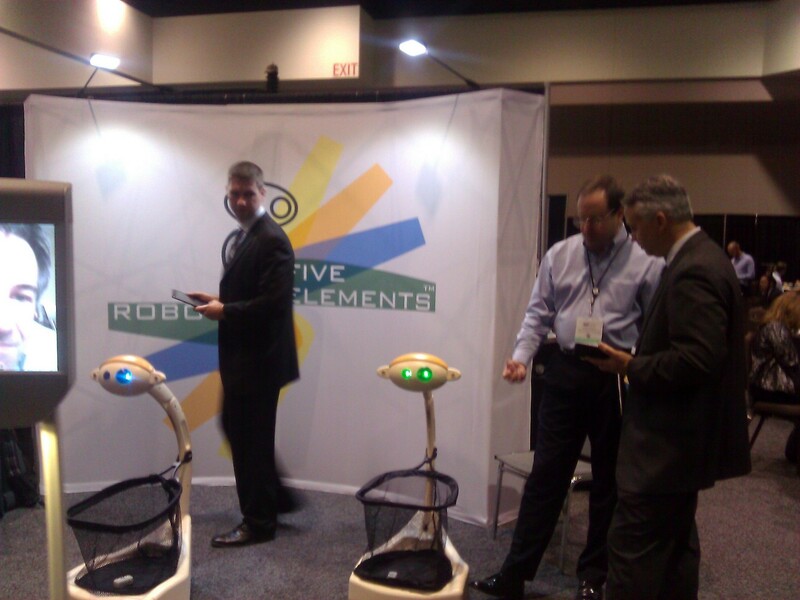 Oct. 23-25th, 2013, Budgee™ debuted at the RoboBusiness Conference in Santa Clara, CA. 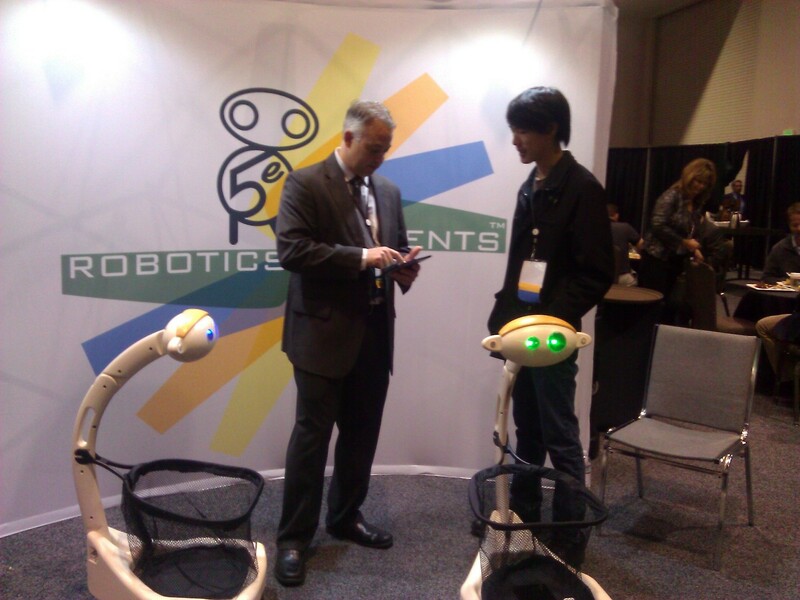 There was a continuous line of people and remote presence robots anxious to meet Budgee™ and interact with him. 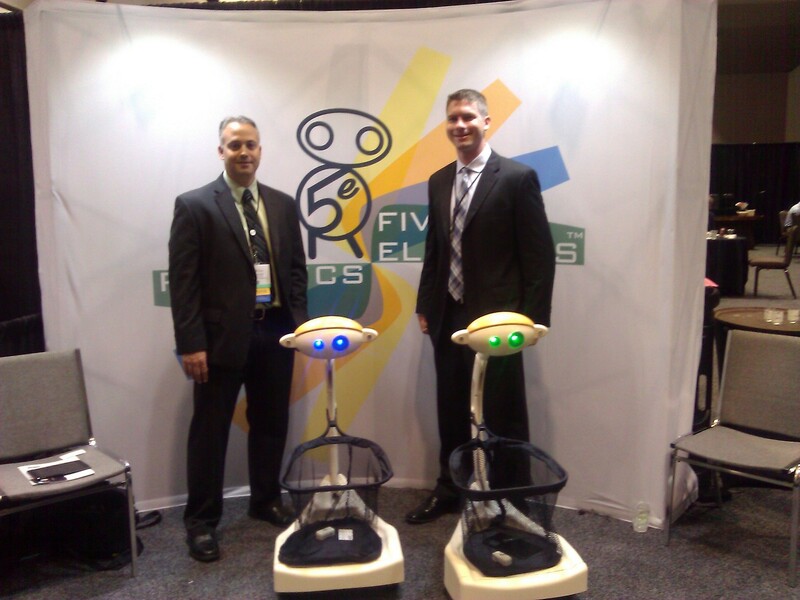 In spite of being only one week old at the debut , the bots wowed the crowd and instantaneously appeared on numerous face book pages as attendees snapped pictures and posed next to Budgee™.